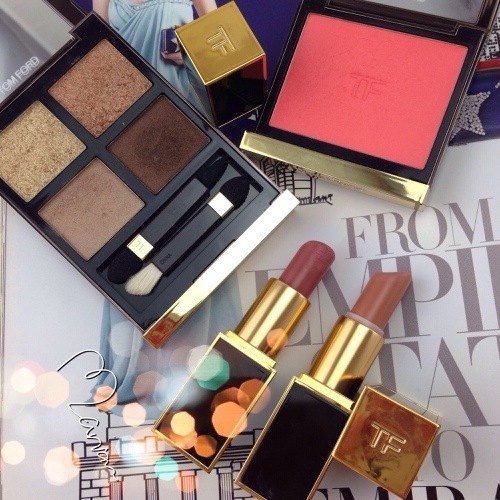 Tom Ford beauty is a true beauty, i didnt have a chance to get deep into the cosmetics line and i didnt visit their counter for a very long time. I have posted before about the first lipstick line (that comes in the white packaging), the current full makeup line comes in brown. 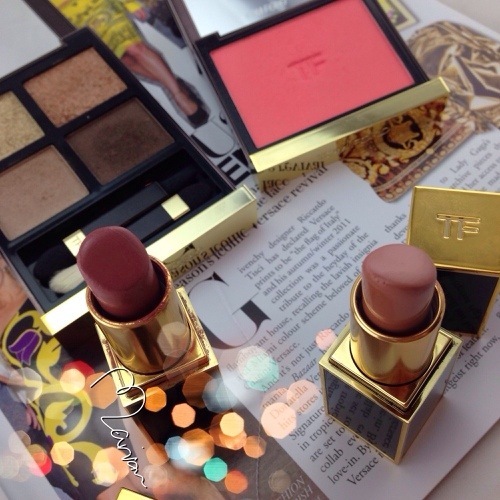 Those products are not new, i got them around a year ago, i got 2 lipsticks, 1 eyeshadow quad and a blush. The eyeshadow quad is called Eye Color Quad 01 Golden Mink, the top colors are glittery and the bottom ones are velvety and pigmented. The blush is called Blush Cheek Color 03 Flush, it is a bright coral shade and very pigmented. 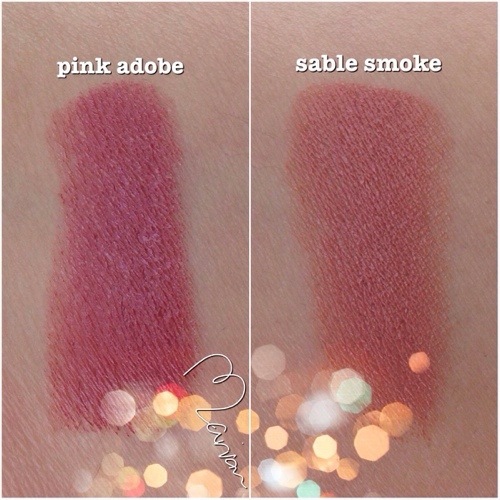 The lipsticks are Pink Adobe and Sable Smoke, i have included a picture swatching them, they are creamy, moisturizing and have a good color payoff, i love those 2 shades.